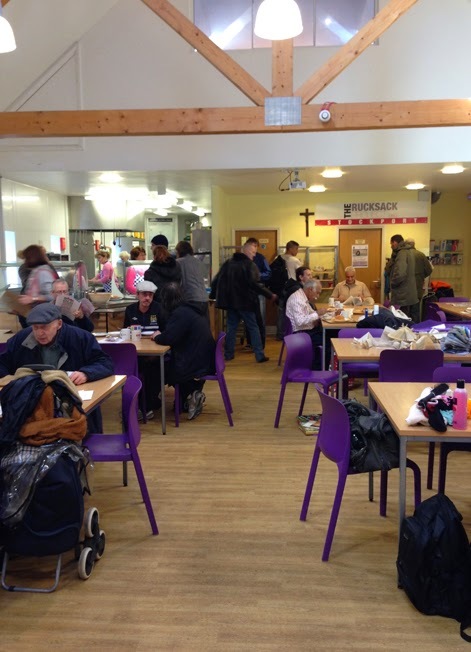 Coming from my most recent research, connecting with people who have dementia, walking into The Wellspring Stockport was a new experience. I’ve worked with difficult and sensitive subjects including grieving, menstruation and sweat but each circumstance is unique. Being a new collaborator with Arthur and Martha this was my first time to The Wellspring. I wasn’t sure what to expect or what would be expected of me, despite reassurances from Phil on the way there. I may describe myself as an ‘empathic creative responder’ but this does not mean that walking into a new situation, involving homeless people, comes easily. When a researcher is engaging new participants there is a period of time acclimatising for the participants. When deep and rich discussions are to be facilitated there is often the same period for the researcher. I walked in feeling self-conscious. I can speculate that this was due to a combination of personality, being in a new environment as well as being aware of the clothes that I was wearing, the phone I have, and knowing that in some ways the guests here have less than me. I felt different to those around me. This was all despite knowing that people are people and that in almost every situation that I’ve been in I have been able to connect with people in some way. I started by being lead by Phil and Lois. I sat with Lois while she was talking to a woman who seemed very engaged. It became clear that she was, with considerable creative flair. Once in that situation I was able to settle and involve myself in the conversation and started to make a small concertina book. This gave my hands something to do allowing me to dip in and out of conversation while being able to observe and listen to my surroundings. However, I still felt a tension or activeness in the room with lively conversations going on throughout. When I was at the table by myself I started to look around, in the middle of making. I took my notebook and jotted down the following. I realised that I was comparing the situation with others involving people with dementia in which there was a general quiet with pockets of activity, conversation or engagement. I’m not implying that this is inevitable but I have experienced it. In contrast, The Wellspring, with a general buzz, conversations and interactions were very apparent. When taking the time, however, it was easy to find points of calm, someone contently eating by themselves or more subdued but intent interactions. This made me more at ease. While becoming part of a conversation between Phil and a guest I was able to connect with him, finding parts of me that related to parts of him. You could call it empathy but it wasn’t a conscious aspiration at the time. It just felt like one human being relating to another. The value of allowing yourself to just ‘be’ in an environment can be underrated.